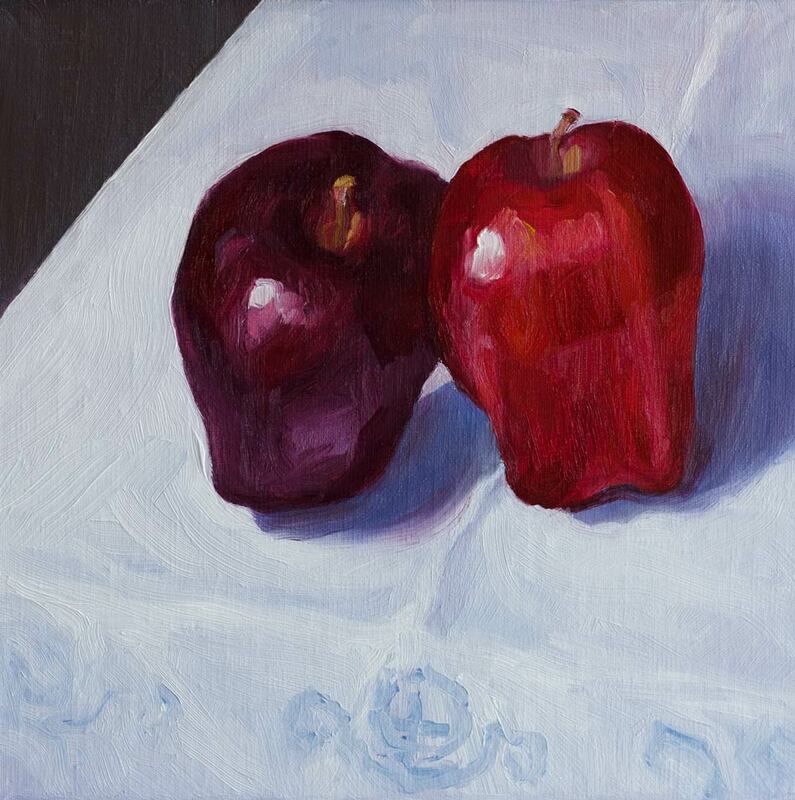 "Learning Leaning Apples", oil painting on linen panel, 8x8"
I’m happier with this painting of apples on a linen tablecloth embroidered by my grandmother. After the mighty fail of my cringe-worthy zombie apple painting, I got really curious. What was I missing? Clearly my drawing hadn’t been careful enough, per my friend Michael’s appraisal of the painting: “Uh, what is it?” And I know it was way overworked. 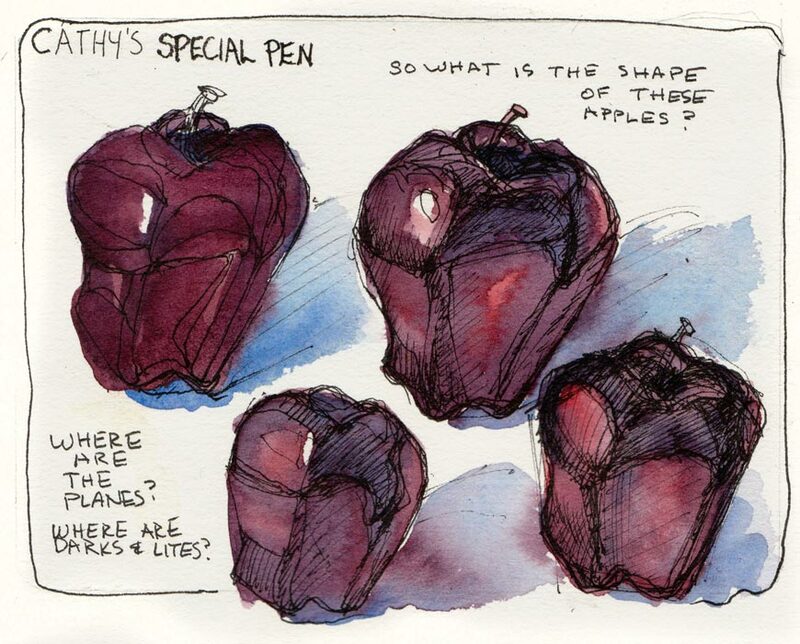 I sketched one very dark purple delicious apple over and over in ink, trying to understand what I was seeing, where the planes changed, where the darks and lights were, trying not to get tricked by the reflections. 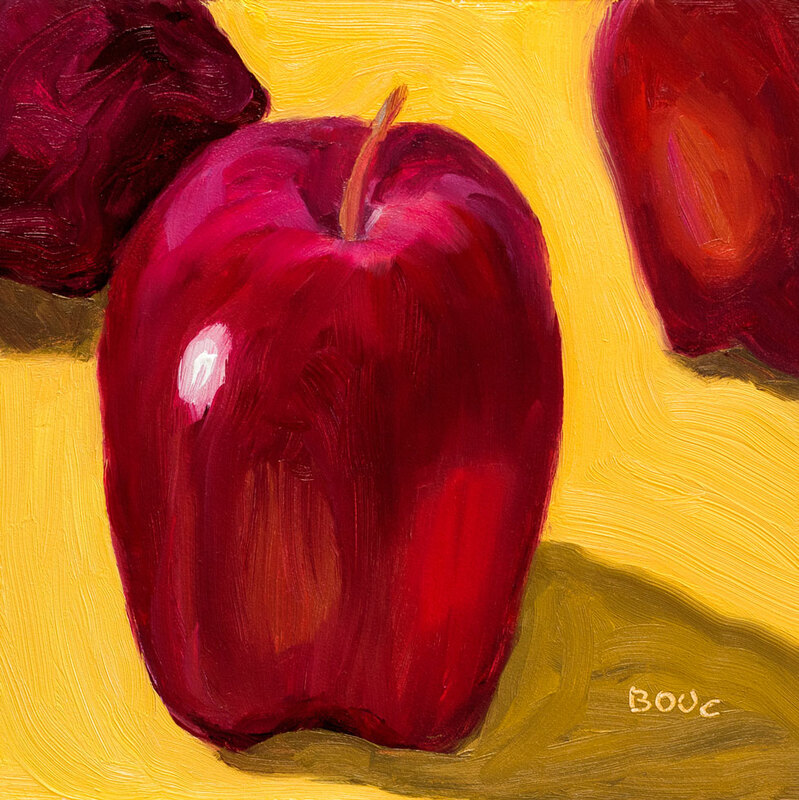 That gave me a little more courage to try to paint the apples again in oil. The painting at the top of the post was the result. This was a new painting surface for me: oil-primed linen on panel, surprisingly inexpensive (for linen), on sale at Jerrys Artarama. It was quite lovely to paint on. It was slippier than I was used to; the Ampersand Gessobord panels I usually use kind of “bite” the paint right off the brush and the oil primed linen allows it glide.